The entire house at your command with just one sleek control panel. Electronic Integration provides the industry-leading home automation systems from Control4 and Savant. 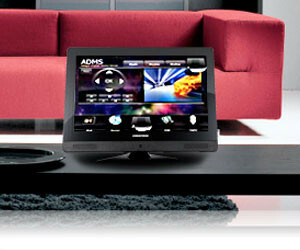 Electronic Integration makes advanced home technology easy, offering a lifestyle of convenience and comfort. Total control is always at your fingertips, whether from an easy-to-use color touch panel, remote or a customized keypad. The Signature Series lets you indulge in luxury with one touch. Using one button, your lights dim, shades close, the flat-screen TV turns on and you relax as your favorite movie begins. Listen to jazz CDs while you read in the den, the kids play video games in the media room, and your spouse listens to the radio on the terrace. Control your music from any room in the home – there’s no need to walk to the stereo to choose a component, select CDs, change tracks or adjust volume. You can control security cameras and watch what’s going on around the house on your Signature Series touch panel. Monitor your front door, watch the kids by the swimming pool, or check on the baby napping in the nursery. Our exclusive roaming panel technology is the Signature Series touch of distinction. This technology let you walk all over your home with one panel. From your den, you can control the surround sound system there, go down to your basement and control the media center at the basement bar, walk out to the pool and control the music outdoors or in the whole home, and access a camera page on your touch panel to see who is at the front door! No specific panel is needed for each area-each panel can do anything and everything. Nothing we have seen can beat the ease of use of the Signature Series. These enhancements are just a few of many the Signature Series experience will bring to your home and way of living. Ask your consultant how Electronic Integration engineering makes your Signature Series system unique.